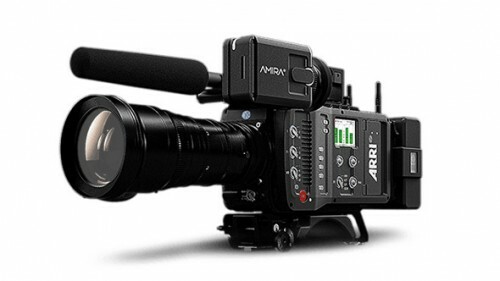 Arri have announced their latest creation “the new documentary-style camera” – the Amira. Featuring the same sensor and exceptional image quality as the ARRI ALEXA, AMIRA records superior HD 1080 or 2K pictures that are suitable for any distribution format. With a dynamic range of more than 14 stops, low noise levels, subtle highlight handling, natural colour rendering, breathtaking skin tones and speeds of up to 200 fps, AMIRA will deliver stunning, life-like images. AMIRA has a minimal start-up time and can be used straight out of the bag by a single user, without delay. Sliding dovetails allow the camera to be perfectly shoulder-balanced for comfortable handheld shooting, while the innovative multi-viewfinder combines a high resolution OLED eyepiece with a fold-away LCD monitor that provides both a live view and full access to camera functions. Uniquely, AMIRA comes with a number of preloaded 3D LUT-based looks that can be applied while filming. Alternatively, productions can custom-build their own 3D LUTs in external colour grading systems, load them into the camera during prep, and even modify them in-camera on set. This gives cinematographers and directors a greater degree of creative control on fast-moving productions, while keeping postproduction costs down for producers. Like all ARRI products, AMIRA is designed to be a safe, long-term investment and built to withstand the rigors of life on set. Sealed electronics provide protection against the elements, while an integrated thermal core results in highly efficient cooling. Productions can take AMIRA anywhere, from jungles and deserts to snow-capped mountain tops, in the sure knowledge that it will not let them down.